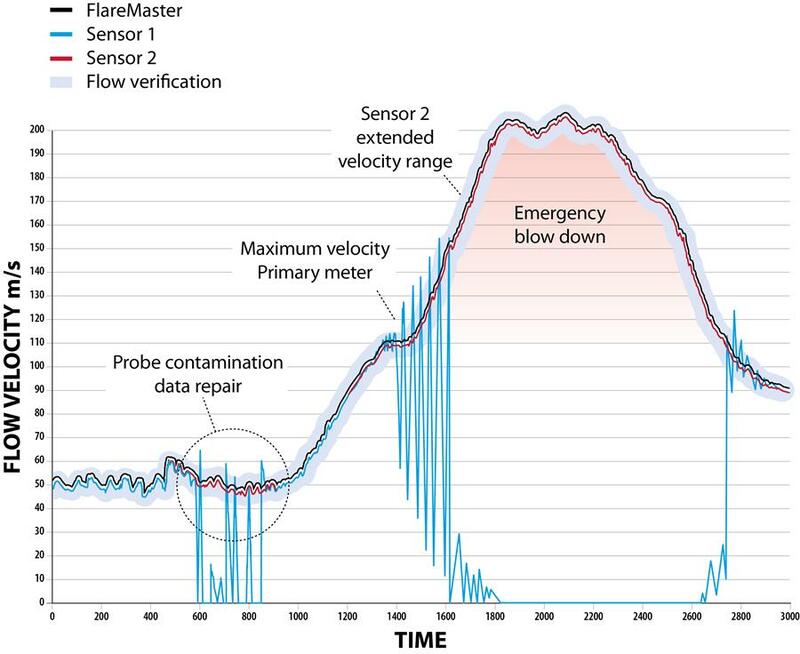 ABLE’s FlareMaster is intended to enhance the performance of the current generation of ultrasonic flare gas meters, ensuring that the flow measurement is reliable and repeatable under all process conditions regardless of extremes (both high and low) in flow velocities, significant diversity in gas densities and transducer contamination. The enhancement is also designed to increase the maximum measurable flow velocity to higher than that achievable with any other flare meter technology, approaching 1000m/sec (Mach 3). 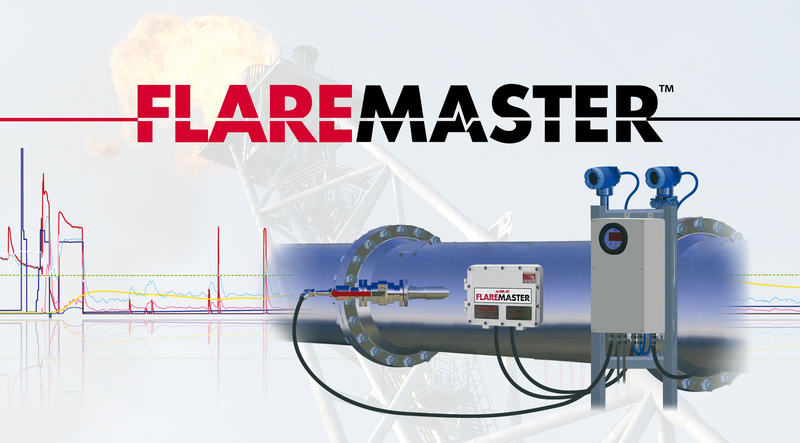 In essence, FlareMaster is aimed at adding value to existing flare meter installations. The FlareMaster is a modular design and Module I endows the flare gas flow meter with a full data acquisition and analytics package, driven by a Rockwell Automation Allen-Bradley CompactLogix Controller, providing full gas density composition inputs to the meter. This function negates the effects of certain density distorting gas combinations, typically reducing measurement uncertainty from +/- 5% to +/- 1% and preventing the over-reporting of Green House Gas emissions and avoidance of the associated financial penalties. Module I is proven, tested and available for purchase. A wireless, hazardous area approved (Zone 1) interface with the module is supplied in the form of an Aegex10™ ATEX tablet, provided by ABLE’s partner company Aegex Technologies. The Aegex 10™ intrinsically safe tablet allows personnel to monitor data and analytics in real time. Module I facilitates enhanced performance from the flare meter and furnishes the operator with a stepping-stone to the fully redundant FlareMaster Management System. The addition of Module II, which consists of a supplementary, non-invasive sensing array, equips the flare gas meter with the complete FlareMaster Dual Redundancy Supervisory System. The installation of Module II can be fully implemented on a live flare without shutdown and causes minimal mechanical disruption. On a fundamental level the fully implemented FlareMaster will offer dual redundant protection against loss of measurement under all process conditions. It’s generally accepted that this is a failing common to all standard flare gas meters, particularly under extreme blowdown situations. FlareMaster is suitable for operation in both high and low temperature applications, and flow velocities up to 1000m/sec. FlareMaster will also continue to deliver accurate and repeatable performance during the gas stratification episodes associated with low flow. Please complete our FlareMaster Questionnaire for an assessment of the suitability of your flare gas meter installation for the implementation of FlareMaster.